Russia’s military used Hamadan air base to attack terrorists in Syria. Russia has taken a timeout from using the Iranian military base Shahid Nojeh (Hamadan), Iranian Foreign Ministry spokesman Bahram Qasemi announced at the news briefing in Tehran on Aug. 22. "Russia has stopped using the air force base for now," he declared, adding there had been no special arrangement between Tehran and Moscow on using the facility. "We have a number of agreements with Russia on conducting joint (anti-terrorist) operations. One such agreement envisages the possibility that Iran may grant Russia use of its airspace and infrastructures to fight terrorism in Syria," he affirmed, noting that Tehran’s relations with Moscow were booming over recent years, describing them as strategic. "Russia and Iran stand closely on the issue of fighting terrorism and the Islamic State (outlawed in Russia)," Qasemi stated. "The situation in the region is a very sensitive one. Iran’s own security depends on it and it is of paramount importance to us." Last week for the first time ever, Russia’s military used an airfield in Iran to attack terrorists in Syria. Long-range bombers, namely Tupolev-22M3 and Sukhoi-34 front-line bombers participated in the raid. 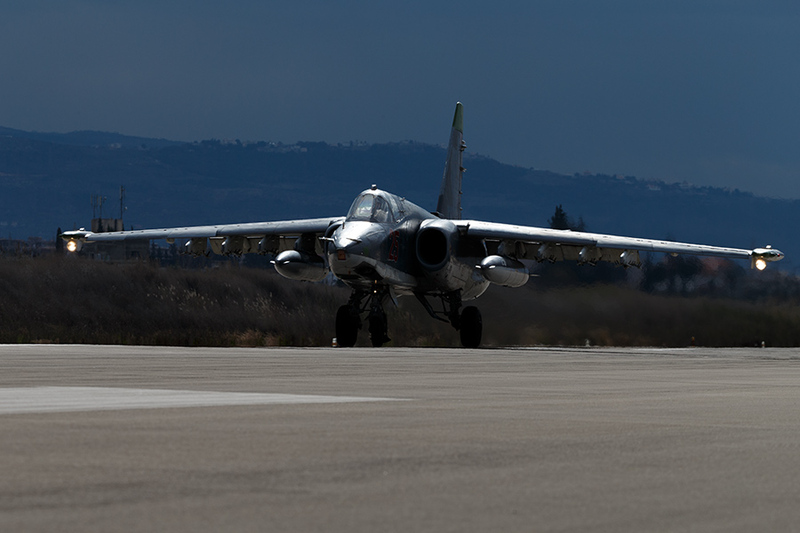 Earlier, these aircraft flew sorties from airdromes in Russia and front-line bombers, from the Hmeymim base in Syria.